Does leveraging “free” giveaways increase royalties? Short answer, Yes. Many authors hesitate to offer free books believing that free books lead to a net loss in sales. Often the opposite is true: free books actually boost sales. In this webinar we'll be taking a look at the multitude of benefits that can be harnessed through giving away free books. We'll also cover setting your giveaways goals, how to run a successful giveaway, and the various ways you can use free books to grow your readership. BONUS: You'll also get a free file full of sites that promote free books. 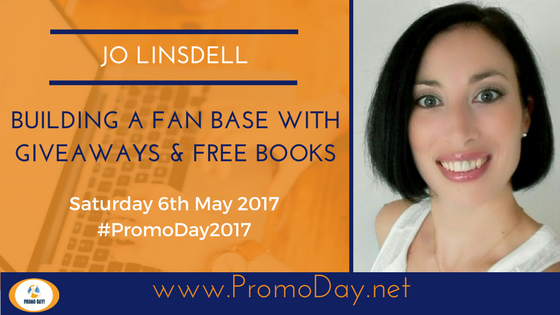 She is the founder and CEO of the award winning blog Writers and Authors and the founder and organiser of Promo Day. Linsdell studied A-levels in Business Studies, History and Art and has won several awards in her career. She was named the Who's Who in the writing industry in 2009.